We just said yesterday that the LG Watch Sport and Watch Style had passed by the FCC, which meant that their announcement wouldn't be too far off. Well, it appears as though the LG Watch Sport and Watch Style are more important than we previously thought. According to famous leakster Evan Blass (@evleaks), who is also a tech journalist/reporter over at VentureBeat, the LG Watch Sport and Watch Style are the result of LG and Google's partnership, and that these two smartwatches will be the first to feature Android Wear 2.0 and Google's AI, Google Assistant. As we've said before, these smartwatches will lack Pixel branding (thankfully) and will allow LG to showcase its own branding on them (no word yet on whether Google will have branding on these devices, although Blass says that these smartwatches will be in a Nexus-style fashion - implying they won't). Both the LG Watch Sport and Watch Style will be given placement at LG's booth at Mobile World Congress (MWC) 2017 on February 27th in Barcelona, Spain. Now, we're sure you don't want to hear about MWC just yet, so we'll go right ahead and get into the specs. Here are specs for both the LG Watch Sport and Watch Style. As can be seen from the specs above, the LG Watch Sport will be the larger, wider-screened, more feature-packed of the two smartwatches, with both featuring wireless charging. 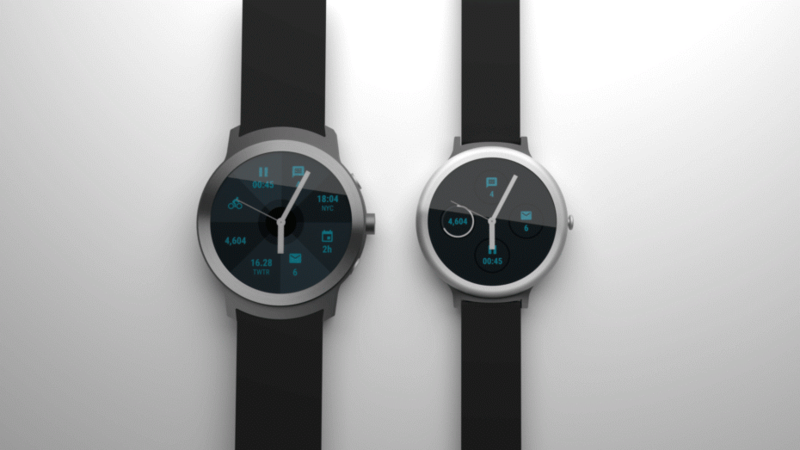 The Watch Sport will also have cellular capabilities, unlike the Watch Sport that will be Bluetooth-connected only with some WiFi capabilities. There is no word on prices just yet, but we have a feeling the Watch Sport will be rather pricey, seeing that LG's Watch Urbane LTE model last year was $600 with a similar battery size and data capabilities attached. We've already been told that Android Wear 2.0 will launch on February 9th by Evan Blass, so the idea of two Google smartwatches only sweetens the deal for a number of consumers. Are you looking forward to seeing these smartwatches land? If so, what model do you want? What do you like about the specs of these smartwatches so far?